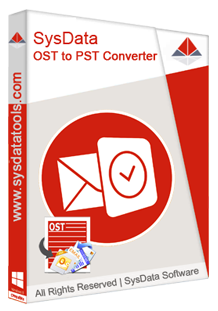 SysData OST to PST conversion software helps to convert inaccessible and corrupt OST file to .PST file. Tool converts all OST components including emails, contacts, calendars, journals, notes & tasks. Buy Online - $ 39 Free Download How it Works? "I have the .ost file with password protection and I wanted to access its data so I searched and found your SysData OST to PST converter. This tool helped to convert entire .ost file to .pst file and successfully remove the password protection. 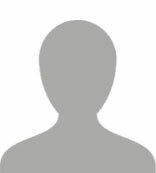 I would love to give 5 stars to your product." "I have orphan OST file and looking for the solution to move my data to my Exchange server account. Then I found few tools to do that but I found this is the best application to import OST file to Exchange by providing my mailbox login details. After that, software migrate all the data into my live Exchange mailbox account and create a folder with it and maintain complete structure of the file." "I was changing my PC from Windows to Apple due to this I wanted to move my .ost file data into apple mail. I found SysData OST converter via download.com (the world famous software provider platform). This tool provides an option to export .OST file data like emails, contacts, calendars, journals, tasks, notes & etc. into .mbox, .emlx other file formats. With the help of this tool I was able to move my data. For me SysData OST conversion tool is the best software. Thank you for developing this advance level tool." "I wanted to migrate data from OST to PST and the migration went very quick & smoothly more than my expectations. I am very satisfied with the results. Thank You!" "I hardly write reviews for anything, but this time I feel I must write something for SysData OST to PST converter. I am very much impressed with the work of the tool. Your program is so effective in converting 127GB OST file into PST format. This tool helped me a lot and solved my problem. I'll surely recommend it to my colleagues and friends. Keep up the good work. Thanks!" "After using SysData OST converter, I can say that as much as I trust Google I trust your product in the same way. I used your OST to PST converter I never searched other tools for converting my OST file into Outlook PST format." Software available at very low price which saves your hard earned money. During OST file scanning & conversion time you can do what you want. It provides selective data conversion so you don't need to save all data. It is completely virus free so your data & system is safe from all virus issues. It is designed with user-friendly GUI which don't require any tech skill. OST to PST Converter tool is programmed to convert offline OST to PST file format to make mailbox data available locally. All OST items including emails along with attachments, calendar entries, contact list, journals, notes, etc. are converted, maintaining the structure of data. The PST files can be exported to latest MS Outlook versions that include 2016 and 2013. The OST to Office 365 migration tool incorporates advanced conversion algorithms that exports OST offline files to Office 365 and also helpful to import OST to Exchange online. It is undoubtedly a scalable tool for small and large organizations that runs on client server model. The process to move OST file to Office 365 is exceptionally simple and the converted files can easily be exported to Cloud Office 365account. The ability to convert Exchange offline OST data to most utilized file formats makes this conversion utility most recommended option. It converts data to multiple file formats including EML, EMLx, MSG, HTML, etc. These files are supported over numerous email applications on Windows and Mac OST x machines. Conversion to EML, EMLSx, MSG and HTML even makes data accessible on smartphones and tablets. OST conversion tool converts Outlook OST contacts to vCard as well as save calendars as vCal, which is an organized format to store contact/calendars details. The vCard and vCal can be attached to email and can be exchanged on World Wide Web. In addition, vCard and vCal can be shared over instant messaging. When the tool converts Microsoft Outlook OST to PST, the integrity and structure of folders and files are maintained throughout the process. The software maintains the hierarchy of OST files while converting the mailbox items to PST, EML, EMLX, MSG, HTML, Office 365 or live Exchange Server. Meta properties are also preserved while converting mailbox items to either of the selected format. Sometimes, the OST files get corrupted or damaged promptly on reaching the stipulated storage limitation. Though the tool is designed to export OST to Outlook PST, the provisions are also made to prevent further corruption in resultant files. Splitting PST files into smaller units reduces the chances of corruption and results in more organized storage of files on machine. OST files are usually encrypted by the users to keep incorporated information safe and secure from unauthorized access. On attempt to access the encrypted OST file, user might experience 'the file is not an Outlook data file' error message. Converting encrypted OST data to PST file makes it accessible in MS Outlook. This way OST to PST Converter helps accessing data from encrypted Offline files. The OST Converter software allows converting selective files and folders from the mailbox while performing the task to convert OST to Office 365, live Exchange Server, PST, EML, MSG, HTML or vCard. This speeds up the conversion procedure. The conversion of selective items often save storage space on hard drive as no additional space is occupied on the storage media. OST to PST Conversion software incorporates a number of features that helps fixing OST corruption issues, making the tool most scalable. Not only the software performs swift and secure conversion to multiple file formats, performs selective conversion of files and folders, but integrates split PST feature that reduces the chances of further corruption in resultant files to a great extent. OST to PST Converter software generates the preview of all recoverable data within its panel. This ensures that the selected items are healthy and stands within the scope of conversion. In addition, the preview pane can also be used to view the items of selected file or folder. Not only it accelerates the OST conversion process, but prevents the time and efforts. OST conversion tool comes with wide compatibility and is supported on Windows 10/8.1/8/7 and all lower versions. In addition, it is compatible to work on MS Outlook 2016, 2013, 2010 and lower versions as well as MS Outlook 2007, 2003, 2002 and 2000. It supports 64/32 bit editions. Make sure that MS Outlook is installed and configured with valid or dummy profile. This free OST to PST converter software brings along the prospects to test the functionality by downloading its trial version. Free OST converter software facilitates conversion of 30 items from every individual folder incorporated in the OST mailbox. This helps understanding the functional procedure and determining its performance without making any initial investment in the tool. Does the demo version of the software allow users to save data? Yes, demo version allows users to save data but it has some limitation. Free OST file converter software saves first 30 items per folder of .ost file. To save complete data you have to go with licensed version. Can software repair OST file corruption? No, any software can't fix file corruption but our software scan and repair to retrieve all access-able data to convert into PST, MBOX, MSG, EML, EMLx, vCard, vCal, Office 365 & Live Exchange server. I want to save my some selected emails so can software do this for me? Yes, at preview screen you can select your desire emails and "Right Click" on selected or desire items to export into different file format. You can check "How it Works" page. What is the default OST file location in Windows 10/8/7? Default location of the .ost file is "drive:\Users\user\AppData\Local\Microsoft\Outlook". If you want to know more about OST file then you can read our blog click here. What if I face some kind of problem between or after conversion my data?